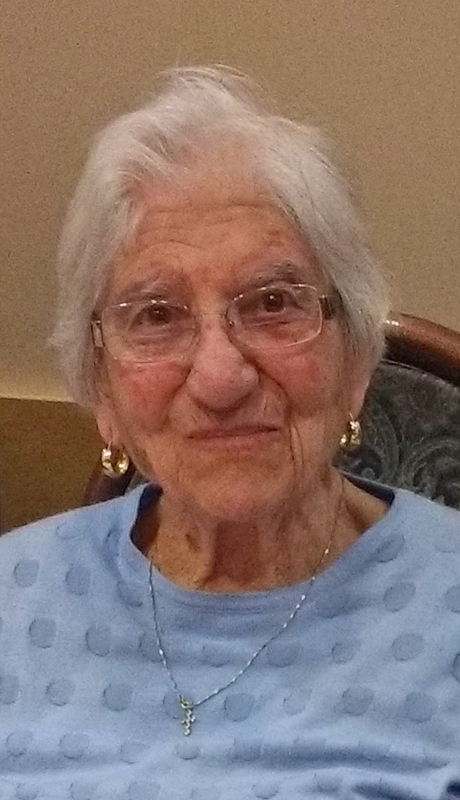 The family sadly announces the passing of Lucia Clementina (Capozzelli) Panella on Monday, November 5th, 2018 at Pioneer Manor, just 3 weeks short of her 97th birthday. Daughter of Giuseppe and Donata Capozzelli (both predeceased) and beloved wife of Matteo Panella also predeceased. Loving sister of Giovanina Pellegrino predeceased in Italy, Ottorino (predeceased) and Maria Capozzelli and Maria Verilli. Loving mother of Vince (Janice) Panella and Dina (Gerry) Larade. Cherished grandmother of Tina (Brendon) Panella -Legge, Anthony (Christine) Panella, Lisa (Dan) Lachapelle, Matthew (Andrea Staples) Larade, Tania (Chris) Vaillancourt, and Kathryn (Will Terris) Larade. Loving great-Nonna to Alex Legge, Aiden and Devun Panella, Hannah and Reyna Lachapelle, Naiya Larade, Logan, Avery (predeceased) and Benn Vaillancourt, Joshua Liam and Kailey Terris. Lucia immigrated to Canada from her hometown of Castelfranco in Miscano with her family hoping to make a better life with her husband and her children. She was a hard working woman working woman, working first at the Eidelweiss Restaurant in Gatchell, at Cascade Laundry Services and Sudbury General Hospital Laundry Services. This is where she learned to fold clothes meticulously and continued to fold them at Pioneer Manor to keep her busy. 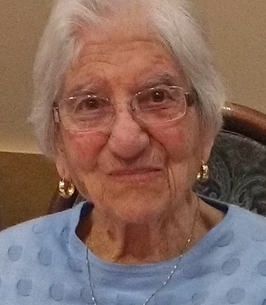 She was a life-time member of St. Anthony’s Church CWL. She loved to garden and seemed to have a special hand at growing tomatoes and green beans, one that her son Vince has not been able to master. She did not believe in wasting anything, even keeping the seeds to grow for the next year harvest. Lucia was a very kind hearted woman and always ready to accept anyone at her dinner table. Her family was very important to her especially her grand-children whom she adored. She was known as Nonna to the staff at Pioneer Manor and we would like to thank them for their kindness and support. Friday, November 9th, 2018 at 10:30 A.M.
We encourage you to share any memorable photos or stories about Lucia. All tributes placed on and purchased through this memorial website will remain on in perpetuity for future generations. Vince & Dina, our sympathies on the passing of your mom. Our thoughts are with you on this day.